Over the next five years, the U.S. healthcare delivery system will likely experience seismic shifts. Data shows according to Dr Bauer that 35% of organizations could cease to exist as they are currently organized, while 40% will be in jeopardy. The remaining 25% will thrive because they have changed the way they deliver integrated care. Laboratory medicine is a key player in this changing landscape, so it's critical that we stop thinking about the lab in isolation. Labs touch every part of patient care, generating 70% of the information in a patient's medical record, triggering or confirming the majority of healthcare costs. As a result, lab medicine is a touchstone in delivering value-based care in every community. Taking steps towards integrated, aligned, and value-driven care begins in your lab—and it can start today. Learn how to implement the Clinical Diagnostics Improvement Processes now. Lab professionals are tasked with conveying an often-forgotten fact: The value of labmedicine greatly exceeds lab costs. Recent data indicates that close to $750 billion healthcare costs are avoidable. In response to this perception, it is the job of the lab to communicate how costs can be decreased, while simultaneously demonstrating the irreplaceable value that labs deliver to patients, health systems, and communities. In today's healthcare climate, we need to change our focus when quantifying the value of the lab. Measuring the price of a test in isolation is detrimental to both patient outcomes and health systems. Instead, labs need to measure value to patients, physicians, and care centers. When it comes to budgets, calculations need to focus on lab unit costs, not budgetary silos. Leveraging lab data to address health system variation and inefficiencies is the first step in driving institutional impact. Workflow inefficiencies negatively affect staff morale and the aggregate cost of care. 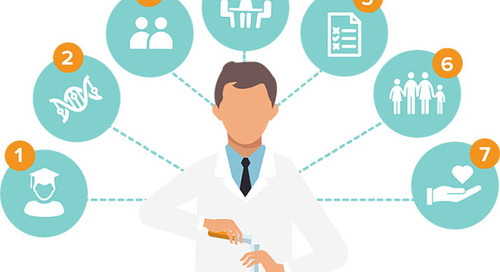 By empowering lab professionals to streamline diagnostic workflows and to take a more active role in advising and consulting, labs can have a positive impact on everything from workplace dynamics to healthcare outcomes. Lab professionals who work in conjunction with physicians to reduce tests that aren't clinically indicated can measurably reduce direct testing costs and delays in patient discharge. Standardizing test ordering procedures also helps to minimize time to treatment and enhances staff productivity. Positively impacting these factors can help create a more integrated, value-based healthcare system. Diagnostic accuracy is essential for patients and physicians during treatment. Laboratories are on the front lines of diagnostics and are uniquely situated to make improvements to this process. As a result, labs can increase positive outcomes for patients and streamline workflow for physicians. The current diagnostics model is fragmented and transaction-centric. Labs are interfacing with multiple physicians and care centers; patients receive information (sometimes of conflicting nature) from many different providers. The process can be confusing for patients, frustrating for physicians, and highly inefficient for laboratory professionals. An improved clinical diagnostics model—one that is integrated and patient-centric— enhances population health and continuous clinical improvement, coordinating medical data from providers and transforming it into functional knowledge. In this new model, labs have the ability to streamline information and to optimize utilization, resulting in significant cost-savings. Healthcare Incentives Improvement Institute cost savings for a hypothetical 300 bed hospital have been estimated to be over $1 million/year, represented by $100,000 per year in direct lab costs, and $900,000 per year in costs outside the lab. Conversely, estimated patient cost savings when reducing underutilization in a 300-bed hospital could likely save over $5 million per year based on a study that leveraged the Prometheus Payment Model and estimates of adverse events directly related to the Dx process. When utilization is optimized, patient care improves. It translates to more accurate diagnoses and faster treatment initiation, and there are fewer readmissions and complications. Improving episodes of care also means avoiding discharge delays, as well as fewer unnecessary diagnostic expenses and patient visits. Across the continuum of community-based care, opportunities for enhancement exist. Change relies on implementing an integrated, patient-centric diagnostics model with the lab at the forefront. The Clinical Diagnostics Improvement Process, which uses data to drive progress towards the new model of diagnostics, has four steps: opportunity identification, solution consensus building, solution implementation, and progress tracking. These steps are meant to function as a repeatable cycle that laboratory medicine professionals working with clinicians can use to continuously make process improvements. This outcome focused methodology generates statistically combinable clinical lab data and is a fundamental step in sparking institutional change. As a lab leader, regardless of the size of your organization, you have the ability to implement this process. By doing so, you underscore the impact and value of lab medicine in the context of the patient’s episode of care. While it may feel like change on such a grand scale is impossible—especially when up against large-scale commercial labs and payers—consider for a moment the story of David and Goliath. In his book by the same title, author Malcolm Gladwell describes how David was not actually an underdog in his battle with Goliath. Despite being much smaller, David gained an advantage by changing the rules of engagement: He utilized a slingshot to fight the giant, avoiding hand-to-hand combat with his huge but slow and near-sighted competitor. This story is relatable to the laboratory medicine field. As a lab leader, you have the opportunity to change the rules of engagement. Rather than accepting a commodity oriented diagnostics system that is inefficient and doesn't serve patients, physicians, or labs a well as it should, you can take steps towards integrated, value-driven care, starting with the health system lab in your community. Medicare is changing the way it pays for health services. The program is transitioning from a fee-for-service payment model that reimburses based on the volume of services to a value-based system that rewards providers for better coordination of care, improved patient outcomes, and reduced program costs. Over the last quarter of a century, despite tremendous advances in medical science and technology, there has been a growing realization that the healthcare delivery system has not been able to provide consistently high-quality care to all Americans. New entrants are expected to disrupt the traditional global healthcare market and draw billions of dollars from systems in developed and emerging countries.